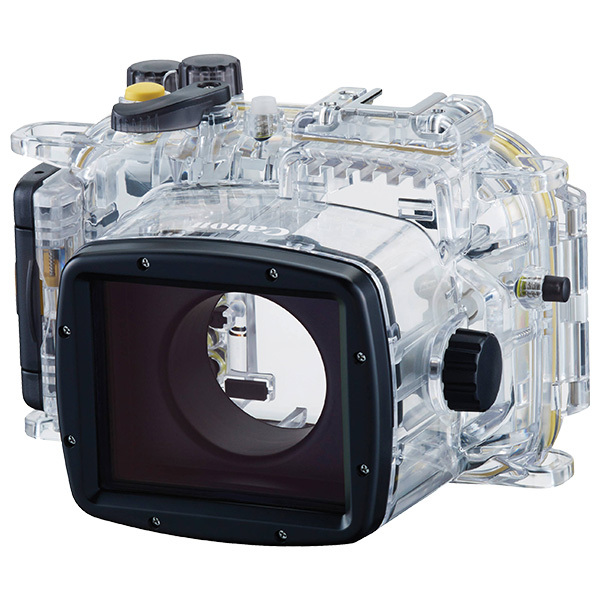 Canon WP-DC56 housing protects your digital camera from sea water and sand. You can use your camera's internal flash for lighting purposes. Or, use the internal flash to trigger a external strobe like those made by INON, Sea&Sea or Ikelite. * Camera is not included. Internal Flash Internal flash can be used underwater (removable diffuser supplied). 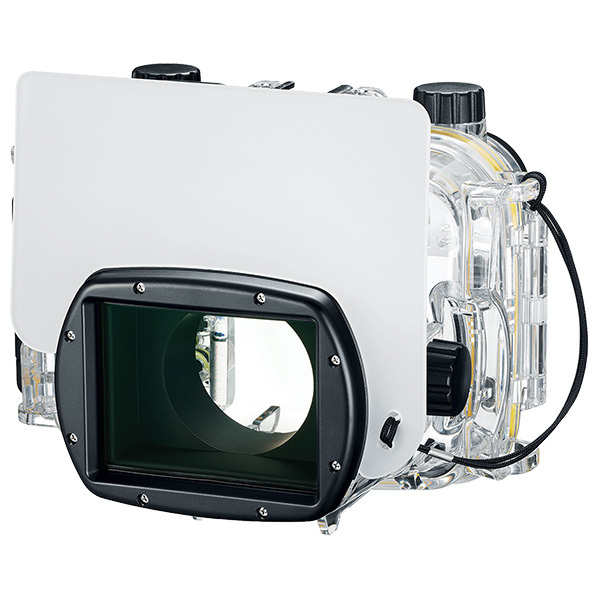 Depth rating 40m / 131 ft.
Strobes Internal flash can be used to trigger external Strobe by optical fiber, please refer to accessories. Wet Lenses Optional Mount Base.